If you have struggled with acne, the thought of putting an oil on your face is probably sending you reeling right now. It’s a well-known fact that overproduction of sebum, the skin’s natural oil, is one of the leading causes of acne. And because of that, those with oily skin types or naturally larger pores tend to be more acne prone. But, there are people of all skin types that get acne, and we’ve been treating oil as the enemy for a long time. It’s probably the last thing you want to do for your skin and sounds like a break out waiting to happen because excess oil is how you fear you got to where you are in the first place, but trust us. Though it may sound counter-intuitive to put oil on your skin, both scientific study and anecdotal evidence support the idea that CBD oil can be an effective treatment for acne. CBD oil has been shown in multiple studies to naturally and effectively curb inflammation and balance irregular hormones, two top causes of acne. CBD oil also provides powerful anxiety relief, which can prevent stress-related breakouts. But the most potent way CBD oil prevents acne is by inhibiting the production of sebum. Unlike many conventional treatments, CBD oil is natural, free from harsh chemicals or toxins, and (apart from infrequently reported drowsiness) has no side effects. In fact, high-quality CBD oil products tend to include an array of beneficial vitamins, antioxidants, and skin-smoothing agents. CBD oil can fight acne directly when topically applied, or help to prevent breakouts when ingested. Endoca is an amazing company that is dedicated to wellness in many ways. Not only do they pride themselves in making incredible hemp products, but they also have outreach programs, a meditation center, and are dedicated to 100% sustainable manufacturing. The UN has awarded Endoca for its application of 100% clean technology in all its manufacturing processes. Endoca is the first pharmaceutical company to produce 100% organic active pharmaceutical ingredients, and that is something that makes them a standout in not just the CBD industry, but across the board. Endoca’s CBD is 100% organic, non-GMO, GMP certified and tested by third-party labs to ensure you’re getting the best possible product. The product that we’re recommending from Endoca is the Hemp Salve. The Hemp Salve the Endoca makes is composed of such high-quality and safe ingredients that you could eat it! (Of course, we’d rather have their peppermint CBD Chewing Gum for that.) This salve is made from CBD, coconut oil, beeswax, cannabis seed oil, lemon peel oil, citral, vanilla, and vitamin E. The vanilla gives it a soft scent without the use of artificial fragrances or irritants. This is a soothing salve that provides instant relief from dryness, irritation, inflammation, and more. One amazing thing about it is that it is also safe to use on broken skin, as many acne products are not. This is great for those painful, angry breakouts, flaky red skin, and just keeping your skin healthy and hydrated. CBD helps block the production of sebum and pumps your skin full of antioxidants to fight signs of aging. Coconut oil, lemon, and vitamin E all nurture the skin as well, promoting even tone. CBD For Life is dedicated to making innovative CBD-infused pain management and beauty products that feel luxurious and deliver amazing results. Their products are specially formulated to combine CBD oil with other natural ingredients that will help fight off pain, inflammation, and aging while keeping skin rejuvenated and vibrant. CBD For Life’s products are 95% naturally derived and are free of GMOs, parabens, phthalates, formaldehyde, artificial coloring and are never tested on animals. All of the products that they sell retail for $35.00 or less, which is an amazing thing. The company cares about the accessibility of their products and believes wholeheartedly in what CBD can do for customers like you. They believe in CBD as the new super beauty ingredient that it is, and we believe right there with them. One thing we’d like to highlight is that CBD For Life is proudly a woman-owned and operated company, something the BestCBDOils loves and supports. Business is a realm often dominated by men, and we always want to lift and support companies that are breaking down that statistic. 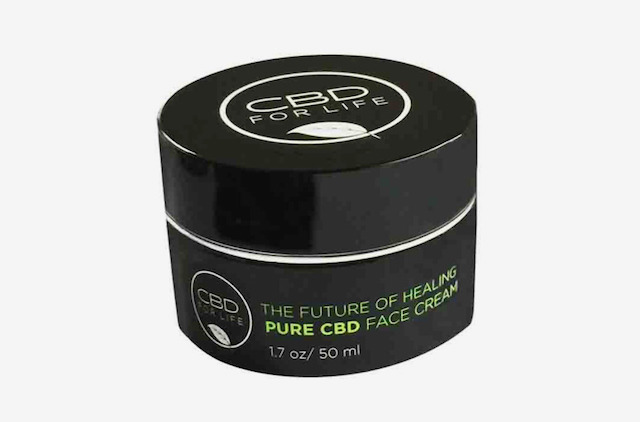 The product we’ve featured CBD For Life for today is their Pure CBD Face Cream. This cream has a very soft texture, is free of all artificial colors, phthalates, parabens, GMOs, and formaldehyde, and is packed with skin-loving ingredients. Aloe, olive, orange peel, cucumber extract, and avocado oil all help pack nutrients into your skin and keep it bright. The CBD helps stop inflammation, works with the lavender to calm it down, and has antibacterial properties to keep zits at bay. The reviews for this product state that it has a rich feel and is very hydrating without feeling greasy or slippery at all. This is a straightforward moisturizing cream that is going to help your skin feel happy, healthy, and clear. Cannabidiol Life’s products are made from organically grown industrial hemp that is sourced right here in America. The company uses a cradling extraction method, with organic ethanol. The absolutely pure CBD oil is then enriched with a ton of synergistic ingredients. 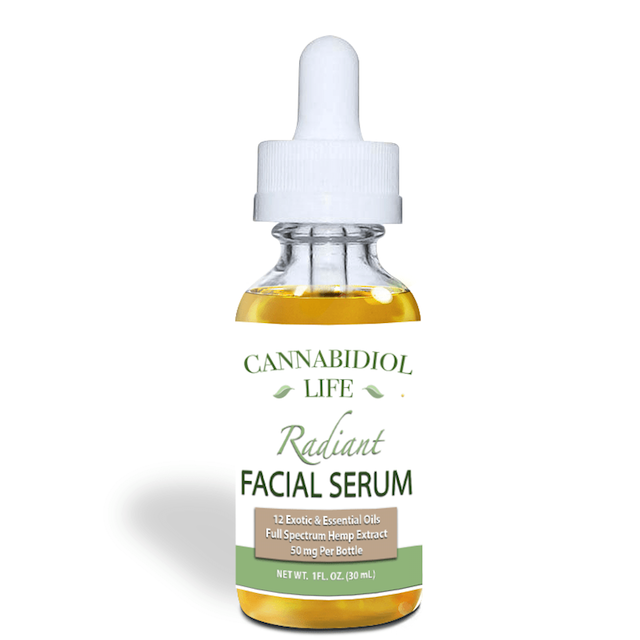 They offer a broad range of products, but we have ranked them here for their Radiant Facial Serum. This serum contains 100% pure full-spectrum hemp extract along with a ton of organic ingredients that your skin loves. These include argan oil, jojoba oil, rosehip seed oil, evening primrose oil, buckthorn seed oil, rose absolute, tamanu, frankincense, sandalwood, carrot seed oil, and vitamin E.
The Facial Serum targets anti-aging, but don’t let the name fool you; those same ingredients are potent players that are perfect to have on the front line in defense of your skin. Proper moisture fights off sebum, as does CBD oil found in the hemp extract. Argan oil and jojoba oil both help moisture penetrate the skin, delivering vitamins and fighting off bacteria. 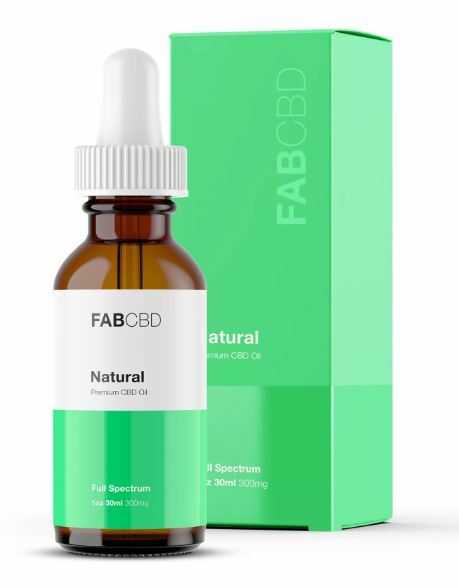 CBD will also help fight irritation and inflammation, effects that are bolstered by evening primrose, and vitamin E. Vitamin E partners with CBD to be a powerful solution for fighting scars, evening your skin tone, and more. Many reviews boast about the power of this serum, but the company offers a sample size so you can try it yourself, risk-free. ImBue Botanicals is a company that controls every aspect of its CBD production. The company’s non-GMO source hemp is sustainably grown, without chemical pesticides or herbicides, in Colorado at high altitudes, where more UV exposure yields higher concentrations of CBD. This hemp is then subjected to low-pressure, low-temperature processing to yield full-spectrum extracts rich in antioxidants and omega 3s and omega 6s. All products are third-party lab tested testing for potency, residual solvents, and microbial contaminants. 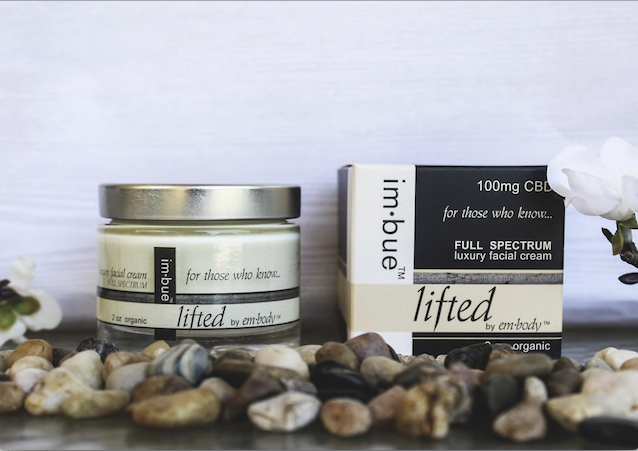 ImBue has a large array of skincare products made from CBD, one of the broadest selections on the market today. Their selection includes lip balm, eye cream, facial cream, and a CBD salve and body lotion that come in strengths of 200 mg or 400 mg. The best product, we’ve found, that they offer for fighting acne is Lifted By Em·Body 100MG Premium CBD Facial Cream. Hemplife Today’s high-potency CBD products are very competitively priced and can be purchased in larger quantities for additional savings. All of Hemplife Today’s “CannazALL” products start with organic, non-GMO, first-cut, purpose-grown (not industrial) hemp grown without the use of chemical pesticides under a Colorado Department of Agriculture Certified Hemp growing program, and sourced in Northern Europe. The source hemp is subjected to CO2 extraction, and a proprietary “NanoTech Infusion Process” that re-infuses whole-plant Terpenes, Phytocannabinoids, and plant Botanicals, maximizing the “Entourage Effect”. Hemplife Today is so confident in their products that they offer a 30-day money-back guarantee of satisfaction, which builds our confidence as well. This shows that they care about getting products that work into the hands of those who can truly use them. We ranked them for their CannazALL Topical CBD Salve. 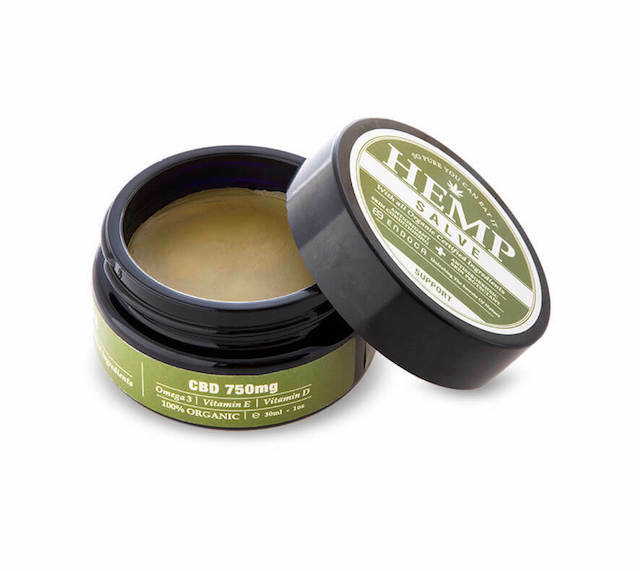 This thick, rich balm contains 400 mg sebum-reducing CBD oil as well as other great organic ingredients. This is a 100% organic product, which is hard to find in the realm of skin care. Other ingredients include coconut oil, beeswax, lavender oil, and eucalyptus oil. This salve will protect your skin, moisturize it with the easily-absorbed coconut oil, and will help keep it calm and bacteria free with the lavender and eucalyptus. Charlotte’s Web is both the name of a proprietary CBD strain and the company which breeds, grows and processes this “gold standard” hemp plant. All of the source hemp used by Charlotte’s Web is sustainably and organically cultivated in Colorado, with the company overseeing the entire process from seed to shelf. Charlotte’s Web uses a broad-spectrum extraction process, which retains the majority of plan compounds to maximize the Entourage Effect (the capacity of hemp compounds to enhance the therapeutic effects of CBD). Along with high-quality CBD, all Charlotte’s Web products include a variety of phytochemicals, such as phytocannabinoids, terpenes, and flavonoids. In the topical treatment of acne, these additional vitamins and antioxidants are beneficial healing and protecting the skin. Their best product to add to your current skin care regimen is the Hemp Infused Cream they’ve created. This is 100% Vegan product that contains 300 mg of hemp extract per ounce, so it is packed with the CBD oil that will balance, nourish, and restore your skin. Other ingredients include vitamin B5, aloe, coconut oil, and shea butter to help support revitalization. Apricot kernel oil also works to condition your skin. This light but creamy moisturizer is noncomedogenic and comes in scented and unscented varieties, which is perfect for those of you who have a little bit more sensitive skin. All ingredients are sustainably grown, non-GMO, gluten free, BPA free, and cruelty-free. The scented variety contains no synthetic fragrances, just all natural essential oils. Apothecanna is an all-natural body care company that is dedicated to spreading the wisdom of traditional plant medicine. Every ingredient they include is considered an active ingredient, they don’t use anything that doesn’t have a direct benefit for its use. All of their ingredients are organic, sustainably sourced, non-GMO, and free of parabens, fillers, and more. Apothecanna doesn’t use any artificial ingredients. Ever. The products made by Apothecanna are diverse and all of them are uniquely amazing. 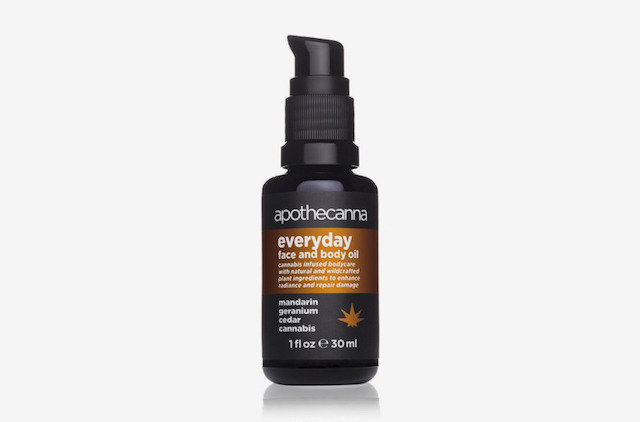 However, we have featured this company for its Everyday Face & Body Oil. This is a moisturizer that has nothing but five-star reviews. It is a medium weight oil with CBD to relieve stress and inflammation, cedar because it is rich in antioxidants and helps smooth the skin, geranium to help heal scarring and clear your pores, and mandarin because it moisturizes and brightens the skin. The amazing oils in this moisturizer give it a soft woodsy scent and it will leave your skin feeling soft and supple. This is great for acne-prone skin because it will keep your skin properly hydrated while staving off oil production and keeping your pores clear. On top of all of that, it is working to fully heal your skin. We couldn’t recommend it more. 8. The CBD Skincare Co. The CBD Skincare Company is dedicated to taking care of its customers’ bodies from the outside in with their incredible CBD-infused products. They offer only the world’s finest organic soaps, face washes, lotions, and more. This company uses products that were scientifically formulated and developed with all natural full spectrum CBD oil to ensure the highest level of potency. Their products not only help nourish your skin and hair, but they also provide a potent delivery of CBD that will help you feel refreshed as well. The company uses only pure CBD oil, organic ingredients, and all natural fragrances, harnessing the pure power of nature without any additives or unnecessary contaminants. While all of their products are amazing, we selected this one for acne because it is perfect for soothing angry irritated skin, no matter where it may be on your body. As troublesome as acne is on your face, we know that it can also pop up in undesirable areas like your chest, or back. 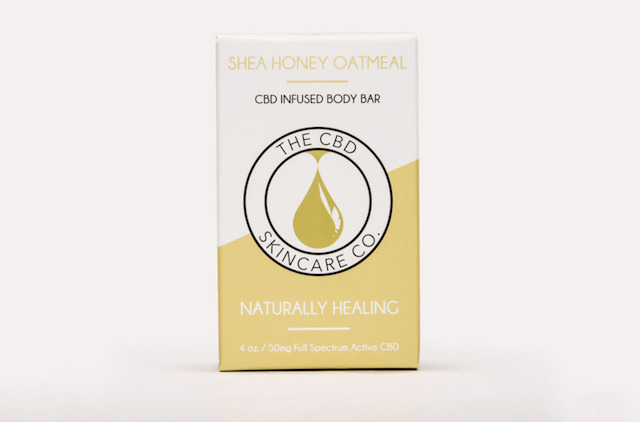 The Shea Honey Oat Body Bar is the perfect answer to that. This is a soothing bar of soap infused with all natural full spectrum CBD, as well as sunflower or safflower oil, coconut oil, palm oil, shea butter, oats, honey, and rosemary extract. This soap will help draw redness out of the skin, fight bacteria, and keep your skin from feeling irritated as it is trying to heal. It is also designed to moisturize your skin as you clean it, protecting you from over-drying. Something that is often neglected when we talk about healing our skin, is healing it from the inside. Acne is your body signaling to you that something is off, something inside isn’t right and that is affecting your skin’s health natural clarity. Think of acne like an alarm bell; your body is trying to purge something from it through the skin. This is something that shouldn’t be happening if you’re not struggling with acne from an outside source. Green Roads has been featured on ESPN, BuzzFeed, Forbes, NBC, Now This, Inc., Cosmopolitan, and CBS. 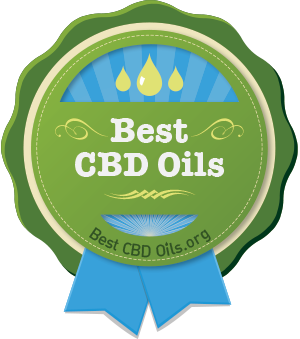 It also was the winner of the title of the best CBD products of 2018. Their mission is to help provide people with access to beneficial plant medicines to reduce the use of harmful and often toxic pharmaceuticals and other products. All of their products contain the highest quality grade CBD and natural ingredients, they are pharmacist formulated and tested in third-party labs. 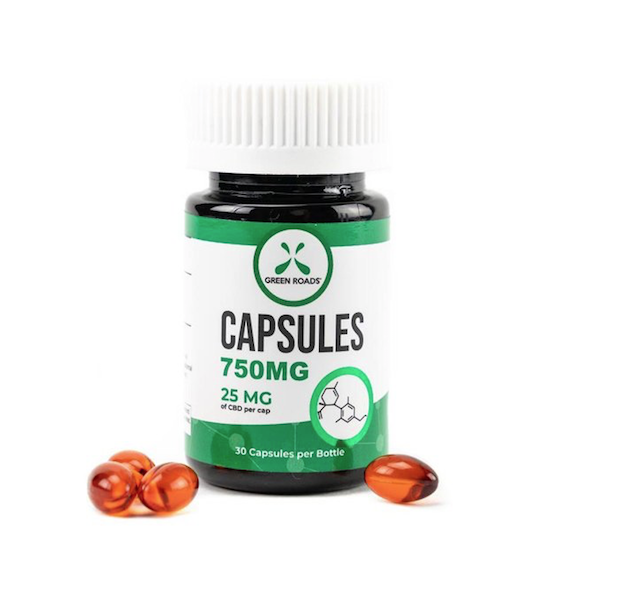 Green Roads boasts that it produces “the safest, cleanest and purest CBD extract available today.” That is why we choose their capsules when it comes to healing acne from the inside. CBD is designed to help your body maintain a sense of balance. If something is out of balance in your body, acne may be your body trying to let you know. Breakouts happen from stress, anxiety, lack of sleep, hormonal imbalances, and a host of other problems. Because of the many benefits of CBD, taking some each day can help promote wellness, reduce stress, help you sleep better, and more. If you’ve tried absolutely everything, this might be a great next step. cbdMD is a company that boasts the best prices per milligram on the market today, which makes their products incredibly accessible to people. They grow their own strain of industrial hemp to be incredibly rich in CBD, completely organic, non-GMO, and free of any contaminants. They are completely in control of every aspect of their production, and offer third-party lab results to back up their claims. All of their products are organic, vegan, grown in America, and completely free of gluten, GMOs, pesticides, animal products, and so on. Their broad spectrum cannabinoid-infused products are some of the purest on the market, guaranteed. The product we’ve featured them for is not for acne, in fact, it is to help with muscle recovery for athletes, but it is so full of amazing ingredients that we included it in our ranking of the best CBD products for acne. 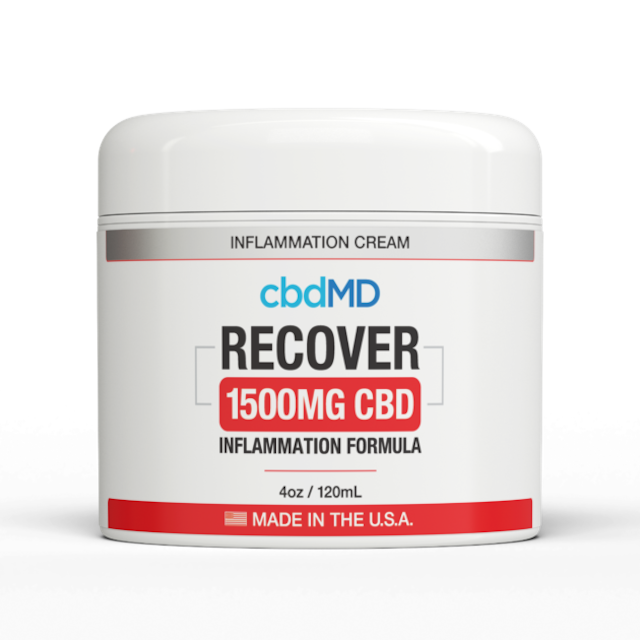 The product we’re talking about is their CBD Inflammation Recovery Cream. This cream was created to be used as a topical analgesic for acute pain, but the rich moisturizing cream is full of things like arnica, which stimulates white blood cell creation, vitamin B6 to fight inflammation, and more. It also contains pink grapefruit peel oil, chamomile oil, lemon peel oil, lavender oil, and so much more. The essential oil blend in this product will help fight off inflammation and can penetrate deep into pores to fight bacteria, oil production, redness, and more. We absolutely recommend you give it a try! It also does wonders relieving pain from stubborn cystic acne.